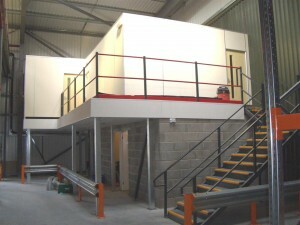 HMF install fire resisting column casings to protect the steelwork of a mezzanine floor for a period of normally 1 hour. 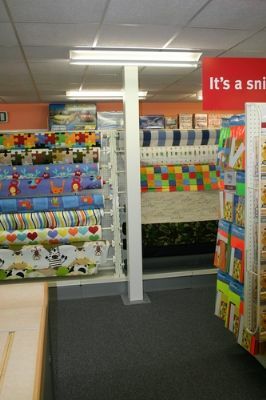 The casing is a pre-formed casing, which is tailor made to fit each column. 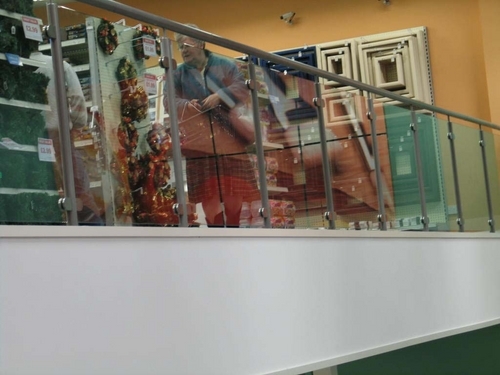 They are made to have good impact resistance and are lined with the necessary thickness of non combustible material to give the appropriate fire rating required. 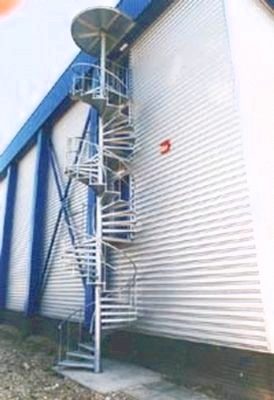 HMF supply column casings in various finishes, most commonly galvanised in an industrial environment and white in offices. 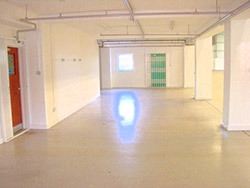 All finishes are Class 1 surface spread of flame when tested to BS476 Part 7 1971 and Class O Building Regulations 1972. 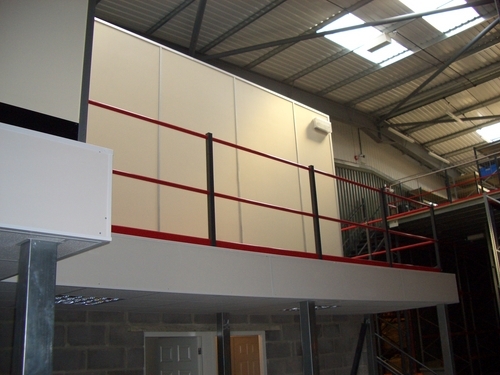 1 Hour fascia is fitted to the exposed edges of the mezzanine floor to give 1 hour fire resisting to the mezzanine floor in conjunction with a 1 hour suspended ceiling and column casings. 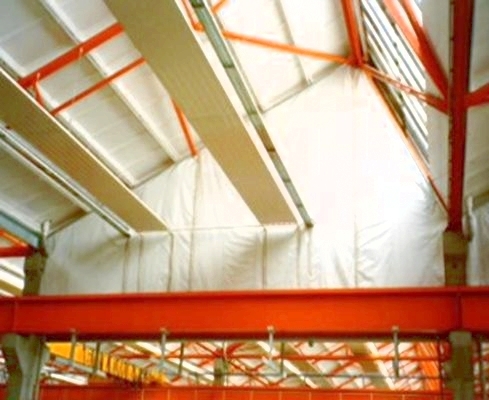 HMF supply and install a wide range of fire resisting suspended ceilings to the underside of a mezzanine floors to give first floor fire protection. 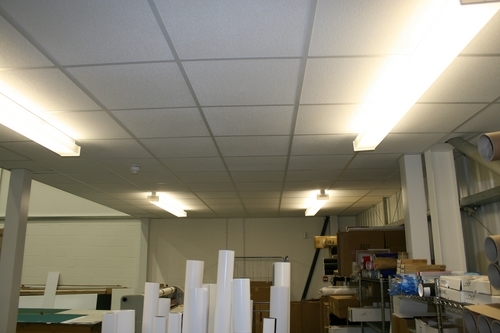 The lighting in the ceiling will also need fire rating accessories to ensure the resistance is not broken. 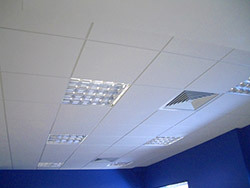 HMF only use ceiling tiles that have been fire tested in accordance to BS476. 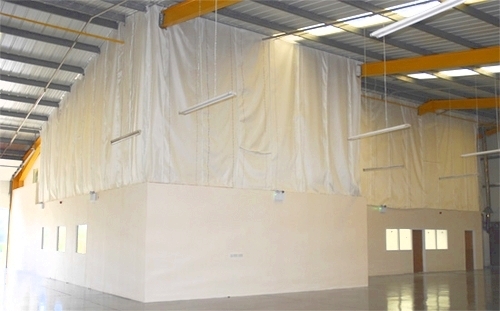 HMF supply a wide range of cavity and fire barriers to protect the service void with the suspended ceiling and also fit full height fire barriers when necessary. 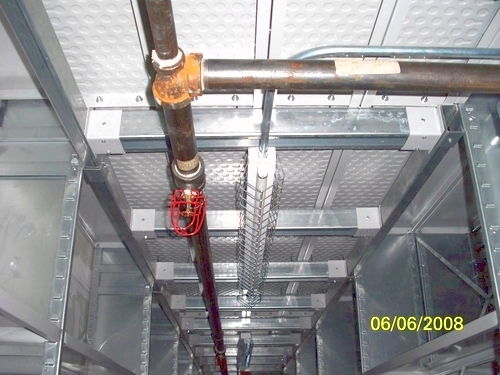 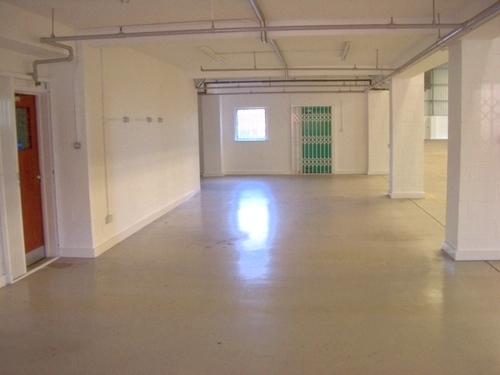 HMF can provide sprinkler systems to the underside of mezzanine floors and any unprotected void space. 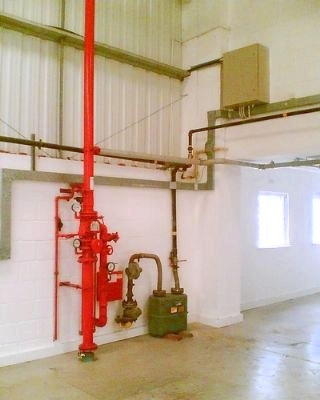 HMF work with a number of sprinkler companies, both locally and nationally. 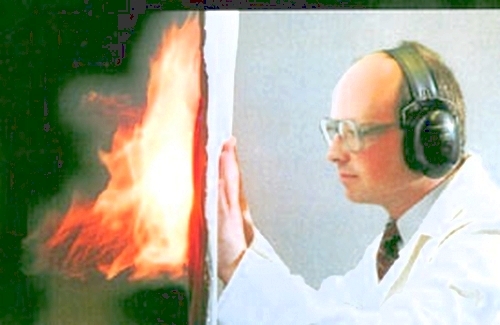 To find our more information on fire protection, please contact us.